Who are the biggest fantasy football sleepers and busts for Week 15 of the 2018 NFL season? We use advanced matchup analysis to bring you a list of players who will overperform (sleepers) or underperform (busts) their typical production. Below are some of the top sleepers and busts for Week 15. Carr has strung together back-to-back solid games with the overall QB3 finish in Week 13 followed by the QB7 performance in Week 14. This week, he gets the third-best matchup on a fantasy points per dropback basis against the Cincinnati Bengals. Newton’s recent struggles have caused some people to ask if he’s worth trusting in the fantasy playoffs. The answer is yes. 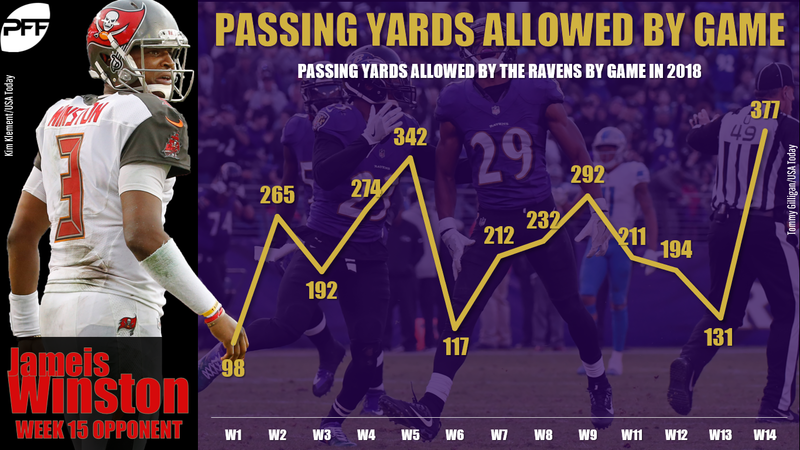 He’s suffered from bad drops (including touchdowns drops) in recent weeks, and he gets a chance to right the ship in Week 14 against the Saints, who have allowed the fourth-most fantasy points per dropback to opposing quarterbacks. A post-hype sleeper, Jackson is primed to lead Los Angeles’ backfield on Thursday night. It’s a juicy matchup against the Chiefs, who have allowed the second-most overall fantasy points per game to opposing running backs and the most fantasy points per touch. Wilson touched the ball 24 times in Week 14, although just one of those was a reception, he failed to score, and he averaged only 2.8 YPC. Overall, it was great usage but a bad outing, which puts Wilson — like Jackson — in the post-hype sleeper column. Assuming he’s the lead dog again in Week 15, Wilson should explode against the Seahawks, who have given up the fifth-most fantasy points per touch to running backs. Jeffery had his best game since October last week, catching six passes for 50 yards and a score against the stingy Cowboys defense. He’s a good bet to build on those numbers in Week 15 against the Rams, who have allowed the second-most fantasy points per target to receivers. Fitzgerald isn’t putting up massive numbers (by any stretch of the imagination), but he has been finding the end zone recently with five touchdowns in his last seven games. In PPR leagues, he’s worth a look in Week 15 against the Falcons, who have allowed the eighth-most fantasy points per target to wideouts. A new offensive coordinator in Minnesota means we could see a shakeup in the offense, and while Rudolph isn’t talented enough to siphon away too many targets from Adam Thielen and Stefon Diggs, we could see him get more involved with a great matchup against the Dolphins on tap. Miami has given up the third-most fantasy points per target to tight ends and breathed new life into Rob Gronkowski’s season last week. Brate has been a touchdown-or-bust player with Jameis Winston under center, and so far, it has worked out, as Brate has three touchdowns in his last three games. But he also has just 64 yards combined (just over 20 per game). Look for him to be a little more involved in Week 15 against the Ravens, who rank top-three against quarterbacks, running backs, and wideouts, but have given up the seventh-most fantasy points per target to tight ends. Winston gets his toughest matchup to date as the Buccaneers travel to Baltimore to face the Ravens. As noted above, the Ravens are a top-three team in terms of fantasy points per dropback ceded to opposing quarterbacks. Over the last month, only Patrick Mahomes has topped 215 passing yards against Baltimore. Derrick Henry blew up their season-long stats in one game. You’re still starting Jones — especially after he was wisely allowed to out-touch Jamaal Williams 20-to-4 last week — but it could be another overall “down” game against the Bears, who have allowed the fifth-fewest fantasy points per touch to running backs this year. Chicago has held opposing running backs to just 3.6 YPC while allowing only three rushing touchdowns against all season — all to Detroit. Sutton was an unmitigated disaster last week in what should have been a great spot. He caught just two of five targets for 14 yards — tied for his second-lowest yardage output of the season — despite serving as the presumed No. 1 in Denver. He also got banged up (he’s expected to play, but check his status), and it’s clear he’s going to have to contend with DaeSean Hamilton and Tim Patrick for targets. Oh, and his matchup against the Browns is brutal, as Cleveland has allowed the fourth-fewest fantasy points per target to receivers this season. Godwin saw an elite 10 targets last week, but he caught just one (!) for 13 yards. 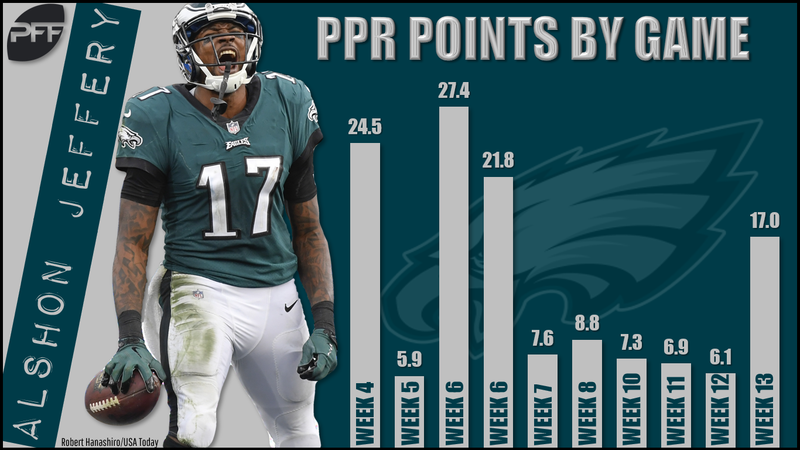 Even if DeSean Jackson sits again, Godwin will be tough to trust after that porous performance, especially against the Ravens, who have given up the fewest fantasy points per target to wideouts on the year. The Giants square off against the Titans, who have allowed the fewest fantasy points per target to tight ends in 2018. Only Zach Ertz has topped 50 receiving yards against this defense. Oh, and nobody has scored against them, either. The next tight end to score against the Titans this year will be the first ???????? 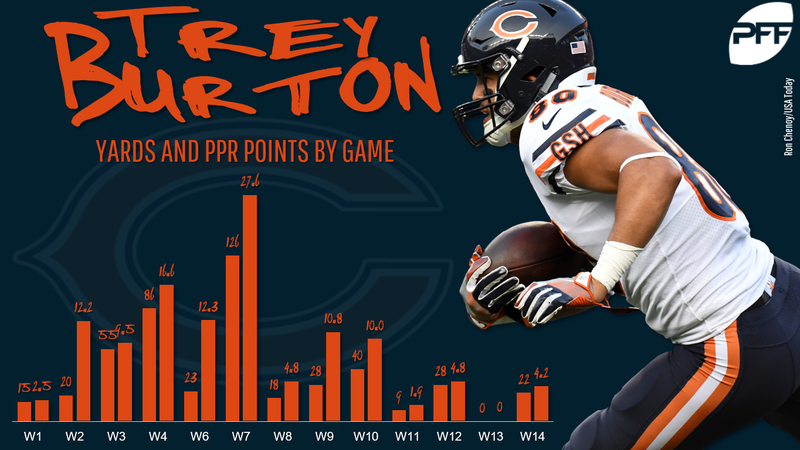 Burton was stymied along the with the rest of the Bears offense in Week 14, and he now has just 7 catches for 59 yards in his last four games combined. The rocky road continues in Week 15 against the Packers, who have allowed the seventh-fewest fantasy points per target and third-fewest fantasy points overall to tight ends. Below is a list showing how each team fares on a per-touch or per-target basis. This list will be updated weekly and can be used to identify strong matchups.